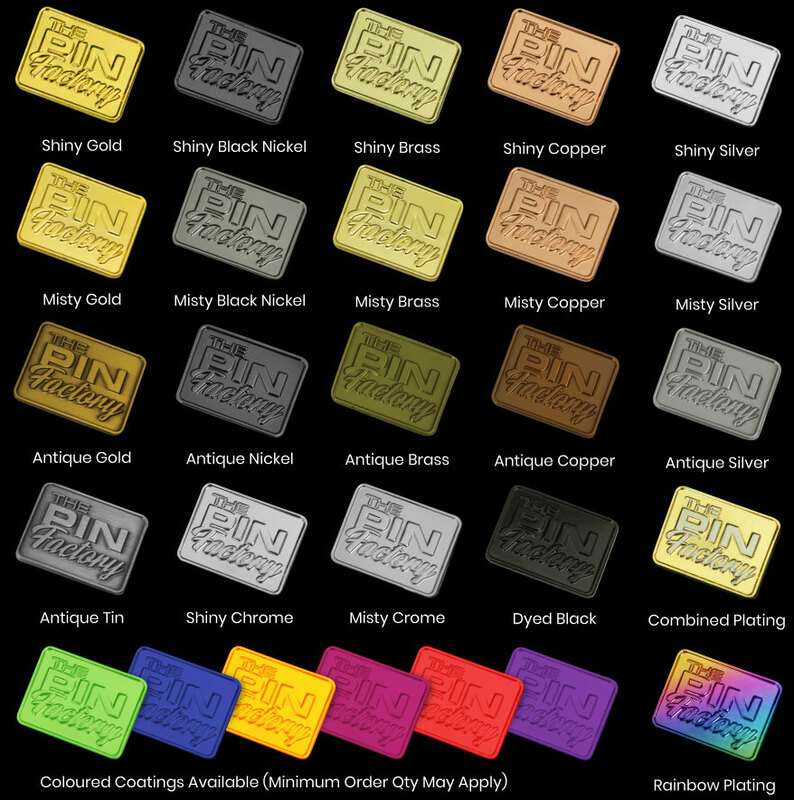 Available coated in hard resin so your message will never rub off, we can manufacture these pins from traditional metal, pewter or tin or alloy. in over 20 different metal finishes these pins are limited only by your imagination. There is custom bespoke shapes and sizes available meaning we can design these pins in any shape to suit your logo or branding. Our in house design service, means you get your pins designed for free! Only when you approve the design do we produce your items. Factory direct means we have control over the entire manufacturing process so you only receive top quality products. This style of customisation features simple moulding of your design followed by sandblasting of the raised sections which creates a contrasting finish helping to bring your logo, message, emblem or shield out of the background metal. The results are impressive and last for decades, due to the fact they do not have enamel ink filling or any print to wear off they remain in pristine condition for longer.